Creation: In 2012, by Nicholas Appel using gold from melted down coins made in Greenland during the International Polar Year. 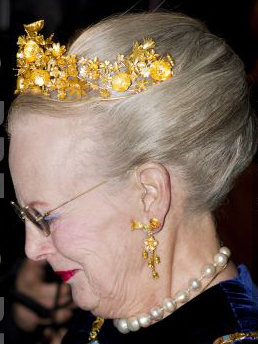 The tiara can be broken down into five brooches. This tiara is one that really confuses me. I love it because it is unique and, of course, because it is a tiara (that is used, no less). I don't like it because the gold is so golden that I don't think it looks right. I think I would love it even more if it was done in white gold or platinum. 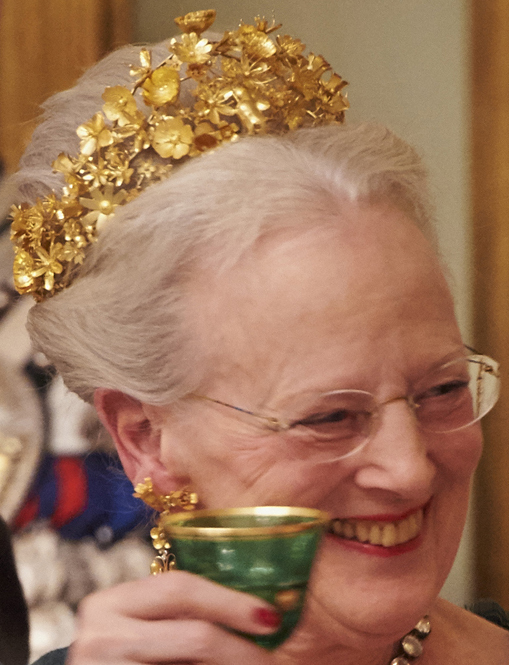 Actually, I love this tiara. The problem is, it clashes with QM's gray (or is it silver, because she is Queen??)hair. 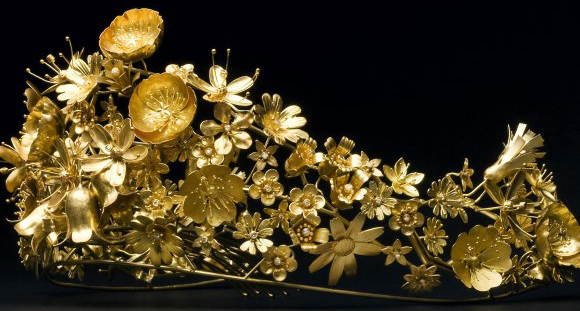 I love the deep gold color, and it reminds me of the fabulous jewelry and a small tiara I saw at a Roman Antiquities exhibit at the Getty in Malibu a few years ago. Very delicate but packs a power punch IMO. I think CPMary would look fabulous in this, as her dark coloring would perfectly offset the gold. It´s a very beautyful tiara but I don´t think it looks great in Queen Margerets grey hair. Crownprincess Mary or princess Marie I think would be gorgeous in it.